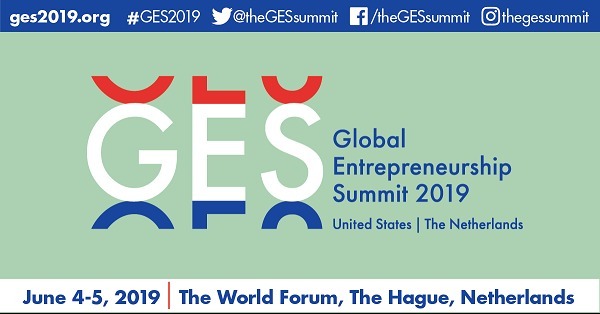 The United States and the Netherlands will co-host the ninth Global Entrepreneurship Summit (GES), June 4-5, 2019, in The Hague, Netherlands. GES is the preeminent annual gathering that convenes entrepreneurs, investors, and their supporters globally. During the two-day program, established entrepreneurs can seek funding from investors and scale their business globally. · Do you have a transformative tech solution for Agriculture, Connectivity, Energy, Health, or Water? · Is your innovation more than just a concept, with a functioning, market-ready business model? · Is your enterprise investor-ready and capable to be scaled up internationally? · Do you want to join other trailblazers to build entrepreneur-led solutions for the future, now? Go to https://www.ges2019nl.nl/application and complete the online questions before January 30, 2019. · We’ll let you know by March 4, 2019 if we think you are the right fit for this year’s GES focus. · If selected, you must confirm before April 2, 2019. · You don’t need to pay a registration or conference fee. · Participants in past GES events are eligible to apply, but strong preference will be given to those who have not attended in the past. PLUS is looking forward to Indonesian innovative entrepreneur to join GES 2019!